T.S. 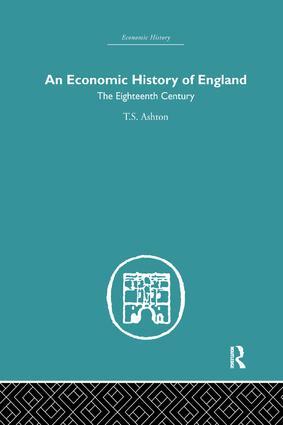 Ashton has sought less to cover the field of economic history in detail than to offer a commentary, with a stress on trends of development rather than on forms of organization or economic legislation. This book seeks to interpret the growth of population, agriculture, maufacture, trade and finance in eighteenth-century England. It throws light on economic fluctuations and on the changing conditions of the wage-earners. The approach is that of an economist and use is made of hitherto neglected statistics. But treatment and language are simple. The book is intended not only for the specialist but also for others who turn to the past for its own sake or for understanding the present. This book was first published in 1955.